“Junk gets precious when junk is all you got left.” International Horror Guild Award-winning author Caitlin R. Kiernan brings one of her most enduring and popular creations to comics. 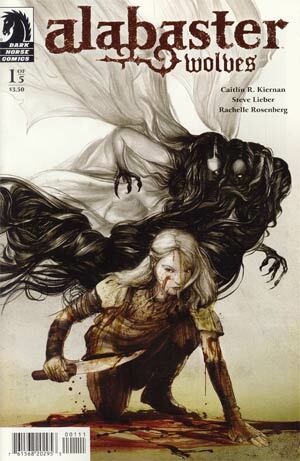 Starring an Albino monster assassin named Dancy Flammarion, this issue is full of quotable lines that crossover authors typically bring with them in their bag of tricks to the world of comics. Dancy is the total package of hotness, with a slight hint of creepy, but rest assured that she is nothing short of completely dangerous when a hungry werewolf crosses her path. The two play a bit of the troll under the bridge riddle game to which our monster hunter proves she is as clever as she is strong. The writing is truly what soars in Alabaster Wolves and if you ask me, the best character in the first issue wasn't the sassy knife wielding heroine Dancy, but the opinionated bird that gives unwanted advice to her; it reminded me of the theater critic balcony guys from the Muppets and I loved it. With lots of premieres this week, this one was my favorite. Courtney Crumrin is back and in full color! Cute as a button as always ready to keep those night things in line, Courtney’s got a new neighbor and maybe finally, a real friend…or so she thought. At first little Courtney was so excited to have a gal pal around to share her secret spells with, but once the raven-haired troublesome Holly starts abusing Courtney’s magic spells for personal gain, everything changes. The perfect blend of Mean Girls and Harry Potter, it's an absolute thrill to be following the Crumrin series again. However, do not fret new Crumrin readers! Even if this is your first foray into the world of Hillsborough Middle School and Goblin Town, Ted Naifeh does a skilled job of introducing old characters as well as the new and issue #1 is certainly a great place to start. At the end of Saucer Country issue #1, Governor of New Mexico Arcadia Alvarado had just announced to the world she is running for President while in the same breath, revealed the shocking news to her small group of advisers that she had been abducted by aliens. 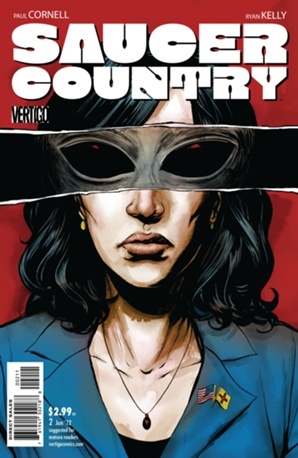 Making credible people, like presidential hopefuls, sound rational while admitting they’ve been abducted by UFOs is a tricky business but Paul Cornell succeeds once again in this sophomore issue of Vertigo’s latest ongoing series Saucer Country. Not only does Cornell portray the Governor as a sane woman, but the reader is left feeling that if any one person where to champion the earth’s cause against a threatening alien race, thank goodness we have Arcadia Alvarado. Vote early, vote often…Alvarado for President and leader of intergalactic relations. 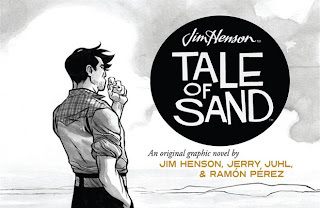 Commonly referred to as the Oscars of the comics world, the 2012 Will Eisner Comic Industry Award Nominations (aka the Eisner Awards) have been formally announced and the comic book community is all a-flutter with excitement and worry. Comic-Con International, the official host of the awards show shin-dig in San Diego, have added and dropped a few categories this year leaving may comics artists and creators wondering why the change? According to CCI’s website, Eisner Administrator Jackie Estrada explains the category flip-flops were due to lack of content, “The judges chose to not have the New Series and Painter categories this year because they didn’t find enough contenders that reached the level of quality they were looking for." In the same breath as what most new creators and painters will undoubtedly find as a scathing insult, Estrada then goes on to praise the overwhelming talent in the often overlooked categories for Early Readers and Educational Work, “the extent and quality of the material submitted in the Kids and Teen categories was so high that the judges felt dividing these books into three categories was warranted." Daredevil landed the largest single number of nominations with a total of 6 including the high honors of Best Continuing Series, Best Single Issue and Best Writer (Mark Waid) to name a few. Close behind Marvel’s superhero mega-saga with an impressive 5 nominations is Jim Henson’s Tale of Sand, “an original graphic novel of an unproduced, feature-length screenplay written by Jim Henson and Jerry Juhl, adapted by artist Ramón K. Pérez, published by Archaia.” Tale of Sand is up for Best Graphic Album -New, Best Penciller/Inker, Best Coloring, Best Lettering and Best Publication Design. A complete list of all 2012 Eisner Nominees can be found at the Comic-Con International website. TNT and Dark Horse Comics have partnered again for the Falling Skies season two digital comic. Even though Season Two of the popular alien apocalypse drama doesn’t air until June 17, the comic will be available beginning April 18 on FallingSkies.com and Dark Horse Digital. Dark Horse Comics began working with TNT over a year ago, publishing a free webcomic prequel to Falling Skies. The inaugural comic quickly sold out and was a fan favorite in advance of the series premiere. Falling Skies: The Battle of Fitchburg will be released as free eight-page, biweekly comics featuring art by Juan Ferreyra (Rex Mundi) and scripts by Paul Tobin (Marvel Adventures: Fantastic Four, Marvel Adventures: Spider-Man). 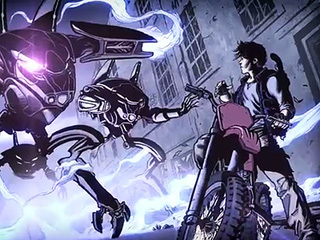 Fans can get a sneak peek of the animated trailer by visiting EW’s Shelf Life.